Save 83% on the Wine Bottle Umbrella - Choice of 3 Styles! 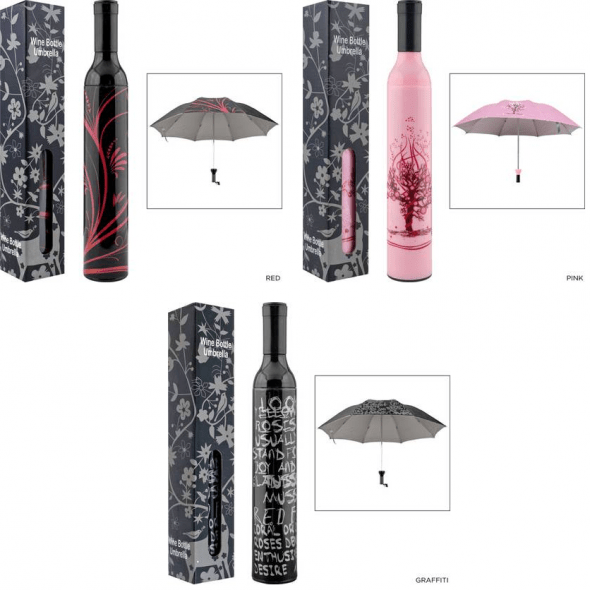 Save 83% on the Wine Bottle Umbrella – Choice of 3 Styles! The Wine Bottle Umbrella – Choice of 3 Styles is on sale for $4.99 at Tanga.com right now. That's 83% off the retail price of $29.99! What a unique gift this would make for a friend or co-worker! Shipping is just $3.99 for this item!